1. Structural seamless pipe (GB / T8162-2008) is a seamless general structure and mechanical structure. 2 fluid seamless pipe (GB / T8163-2008) is generally seamless pipe used for conveying water, oil, gas and other fluids. 3. The low-pressure boiler seamless pipe (GB3087-2008) is used in the manufacture of various structural low and medium pressure boiler superheated steam pipes, boiling water pipes and superheated steam locomotive boiler tubes, opium pipe, small pipe and brick arch effective high-quality carbon structural steel hot-rolled and cold drawn (rolled) seamless. 4. The high-quality carbon steel high-pressure boiler seamless pipe (GB5310-2008) and above is used to manufacture high pressure water tube boiler heating surface with steel, alloy steel and heat-resistant stainless steel seamless pipe. 5. Fertilizer equipment with high-pressure seamless pipe (GB6479-2000) is applied to the working temperature of -40 ~ 400 ℃, working pressure of high-quality carbon structural steel and alloy steel 10 ~ 30Ma chemical equipment and pipeline seamless. 6. Petroleum cracking seamless pipe (GB9948-2006) is applied to the oil refinery furnace tubes, heat exchangers and pipe seamless. 7. Geological Drilling Pipe (YB235-70) is available for the geological department of the steel core drilling, use can be divided into the drill pipe, drill collars, core pipe, casing and precipitation tubes. 8 diamond core drilling seamless pipe (GB3423-82) is a drill, core rods for diamond core drilling, casing seamless pipe. 9 oil drilling pipe (YB528-65) is used for oil drilling at both ends of thickening or external upset seamless. Manufacturing ship Class I pressure piping, Ⅱ grade pressure piping, boilers and Superheater carbon steel seamless pipe. Carbon steel seamless pipe wall temperature does not exceed 450 ℃, alloy steel seamless pipe wall temperature exceeds 450 ℃. 11. The automobile axle casing seamless pipe (GB3088-82) manufacturing automobile axle casing and the drive axle axle shaft tubes of high-quality carbon structural steel and alloy structural steel hot-rolled seamless pipe. 12. The diesel engine with high-pressure tubing (GB3093-86) is the manufacture of high-pressure diesel injection systems of cold drawn seamless tubes. 13 hydraulic and pneumatic cylinder with precision internal diameter seamless pipe (GB8713-88) is the manufacture of hydraulic and pneumatic cylinder with precision cold drawn or cold rolled precision seamless tube having an inner diameter size. 14. cold drawn or cold rolled precision seamless (GB3639-83) is used for high dimensional accuracy mechanical structure, hydraulic equipment and good surface finish cold drawn or cold rolled precision seamless. Precision seamless tube manufacturing mechanical structure or hydraulic equipment. 15. Structure with stainless steel seamless pipe (GB / T14975-2002) is widely used in hot-rolled chemical, petroleum, textile, medical, food, machinery and other industrial corrosion-resistant pipes and structural parts and components made of stainless steel ( extrusion, expansion) and cold drawn (rolled) seamless. 16. Fluid transport stainless steel seamless pipe (GB / T14976-2002) is a hot-rolled for the transmission fluid made of stainless steel (extrusion, expansion) and cold drawn (rolled) seamless. 17. Shaped seamless pipe is in addition to other general term seamless pipe cross-sectional shape. Press the pipe cross-sectional shape and size can be divided into different wall thickness Shaped seamless pipe, etc. (code D), ranging from wall thickness Shaped seamless pipes (code-named BD), variable diameter shaped seamless pipe (codenamed BJ). Shaped seamless widely used in various structural parts, tools and machinery parts. 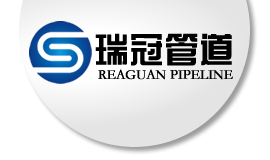 Hebei Shengtian Group Reaguan Pipeline Co.,Ltd is mainly produce steel pipes. Carbon steel pipe, seamless pipe, spiral pipe, ERW pipe, SSAW,LSAW pipes. Free samples ! Your best choice !